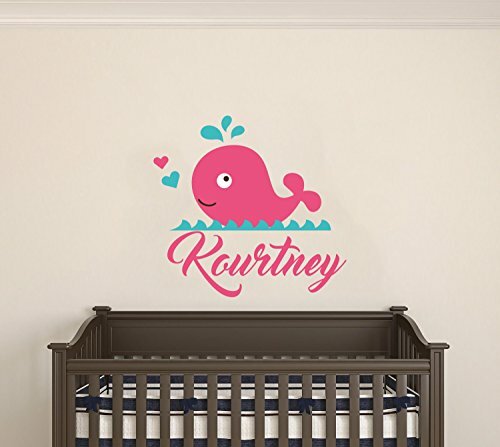 Personalized Name Hearts And Whale - Marine Animals - Baby Girl - Wall Decal Nursery For Home Bedroom Children (MM) (Wide 24''x21'' Height) by cryptonite at Animal Backgrounds. Hurry! Limited time offer. Offer valid only while supplies last. PRODUCT FEATURES Decals Made of Vinyl and Manufactured in USA If you want another SIZE, just let us know. For other colors, see chart above. If you have any questions about this product by cryptonite, contact us by completing and submitting the form below. If you are looking for a specif part number, please include it with your message.